THAIVISA.COM ENTERS THE PROPERTY BUSINESS WITH ONE OF THEIR PARTY OFFERS! One of the main problems many foreigners are unaware of when buying homes and houses in Thailand is that the country turns a blind eye to the activities of foreign property developers and real estate agents. Legally of course foreigners should not be in these businesses, but of course they get around this by claiming their companies are Thai. So if you have to sue, you will end up suing the Thai nominee or partner of that oh so friendly Brit, Dutchman, German, American, or whatever to whom you have given your cash. A new entrant into the property scene in Thailand is ThaiVisa the owners of Thailand’s most popular, if not most controversial website. The bosses are even setting up shops in the provinces and seem to be entering into partnerships with local estate agents – for the commission. Now Thaivisa is offering 5000 baht – a meagre £100 – towards a housewarming party for the £120,000 house you buy through their website. 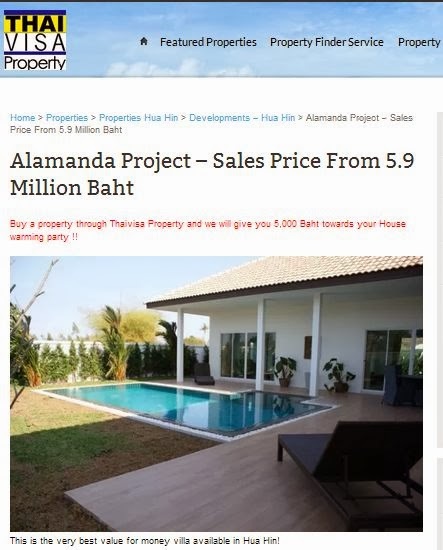 Featuring prominently on the ThaiVisa website is a property called Alamanda in Hua Hin which they describe as the ‘very best value for money villas in Hua Hin’ at 5.9 million baht. Thais of course will not buy at these prices on former wasteland a long way from the beach. So who is building it? Where else does it advertise? And why does it not have a website? Indeed why are many property agents in Hua Hin not selling it? The answer of course is that it’s being built by Alan McDonald, a Scotsman with a notorious reputation in the Gulf of Thailand resort, who is being pursued by many through the Prachuap Khiri Kan provincial courts, through his Thai woman proxy ‘boss’. There was a website – thai-homes.com which was registered in Jacksonville, Florida, The owner (a number not a name) had an email ending in @domaindiscreet.com . Thai-Homes.com is inactive but the Alamanda is only being sold and promoted by ThaiVisa and Hua Hin Property from premises Mr. McDonald used to lease. ThaiVisa also promotes the property on YouTube. Of course it all looks very nice but the glossy pictures always do, and only a few homes have been completed – and the company selling the properties does not appear to totally own the land – according to the land office. It appears cash strapped Mr. McDonald mortgaged off the property and can only get the land back when each customer pays up front for it and McDonald pays off his high interest loan. That would put him under pressure. 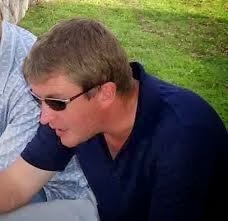 Alan McDonald’s lawyer was of course the infamous Brian Goudie, aka Brian Goldie, who is currently on the run from an arrest warrant issued by Pattaya Provincial Court for swindling an old lady out of US$300,000. You would certainly not buy a house from this man. He was jailed in Australia for six years for stealing AUS$400,000 from his employers – a Perth mining company. Buyers will also need to know that McDonald retains control of the administration of the estate until the buyers set up a committee to throw him out. This can be a tough business in Hua Hin and developers have shown a fondness for controlling water and electrical facilities, and ground rent themselves – and cutting off supplies when residents refuse to pay the demands – which are far above the nationwide level. Of course you can have that housewarming party on the beach. There are plenty of good housing projects in Thailand but be careful out there – and always be mindful that under Thai law foreigners cannot buy residential property unless in a condo, in which the occupants must number at least 51 per cent. Be very wary of buying before completion. 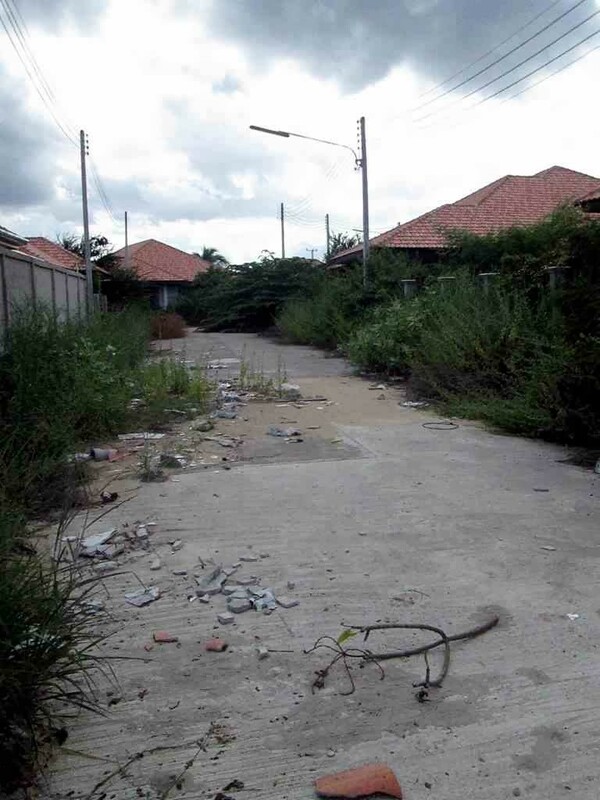 Properties in Thailand can get delayed…for years…and some are NEVER completed. And never be rushed into purchase by someone claiming there are other offers, or be quick because they are selling like hotcakes. Thailand’s property market, despite what developers and estate agents say is in the doldrums. There has been massive overbuilding under the current government so much so that many farmers who went into the brick making trade are now suffering. And the courts are full of cases brought by foreigners who say they have been cheated – Its a long fight to get your money back and no guarantee you will. Even with a court order in you favour you will have to find it. You’re adversary won’t have it. Finally, there are all sorts of schemes to get around Thailand’s restrictions on foreigners house buying. None of them are perfect and cannot be relied upon as a guarantee. Thaivisa is starting to look rather sinister. 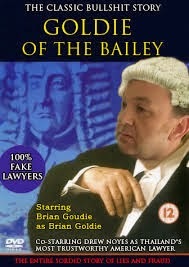 Another typo Andrew, it should say Alan McDonald’s imaginary lawyer was of course the infamously deluded Brian Goudie. How typical of Thaivisa….$$ first, its customer base which built the forum to what it is…and the mods that work for free to help the owner pile away his cash and endorse such things like this that will ultimately ripoff some of their customer base. Is a little like that business selling company in Bangkok that also sponsors Thaivisa, they have no problem advertising and endorsing the ludicrously over priced businesses they try to flog to foreigners and reap their commissions without a care in the world. Considering Thaivisa was in bed with Noisy and now has connections with Goudie, well what more can ye say. I emailed TV to ask if they had any concerns about their readers being ripped off by companies advertising on TV or using their name on the companies website, and the answer is no.. here's the reply from the MD of TV that shows they don't care as long as it's a Thai registered company. Thank you for your email and your concern, we have positive and negative feedback about advertisers in many cases, the businesses we allow to advertise are registered Thai businesses, we provide each company an equal chance to advertise their services. Managing Director – Thaivisa Expat Group Co., Ltd. Does Thai Visa actually have any credibility? Most sections seem to have the same groups of malcontent's posting on every topic. They use every chance to pot Thais and vent their spleen. The moderators act like two bit dictators. You see a person post an informative topic and nobody is interested. Post something negative about Thais and within hours an online lynch mob has gathered. They should change their name to Thai-Bellyacher.com. Do the moderators work for free? If they do they are total suckers given the site is basically one big advertising blog. yes they do work for free…but some expect free accommodations at the wild parties they throw each year. Thai-Bellyacher.com has always been the same. Weapon's idea for a name change is a good one. I'd even be reckless enough to offer to pay for the name change. The name is available, George. Weapon's idea for a name change is well thought out. A much more accurate description of their site's mission statement. I would even be reckless enough to put up the cost of the name change to Thai-Bellyacher.com myself. Act quickly, George. The name is shown as still being available. What people don't seem to understand is they are revealing more about themselves when they get on that site whining about everything Thai. Their own inability to deal with Thais is the real problem. They want all the good things about their own country without any of the negative things about their adopted home. Thailand has a lot of problems but if you behave yourself and obey the laws you are pretty safe. People live in places like Pattaya and Patong and then complain about the quality of people they meet. What do they expect? I haven’t found a better site than thaivisa.com to give me every day an overview of news about what is happening in Thailand. Their newsletter, the subscription to which was free, is the first thing I read every morning. I 100% agree, just don't click on any of their advertisers! If they are the best it paints a very poor picture of whats available. I have benefitted a lot from the advice given in the visa forum on the website of thaivisa.com and if they earned a few cents from the ads on the pages I viewed, I am happy for them. Two Italians posting positive comments about Thai-Whiner.com in perfect English? Is that you George under that sheep's clothing? Preferiresti che scrivessi in italiano, ou peut-être en français, vel in linguam latinam? I don’t blame you for being astounded that an Italian should be able to write reasonably good English; most people I met in the USA were similarly incredulous, much less so the British. Thai visa is a great site and lots of useful information, you could almost mistake it for being some sort of Registered Charity or NGO… It is not!!! It is a cash cow… The owners allow known scam artists to advertise on there and suppress any discussion which is detrimental to the scam artists businesses… It seems Thai Visa is simply a pseudo protection racket!! which is very disappointing given the number of naïve that stumble upon the site.. I agree, Lee. There are "some" useful posts from genuine posters. But their moderators censor , ban, and encourage flaming. Unfortunately we now have one resident in Chiangmai. I've never got flamed. What did you do to get banned? Do flamers get banned? Most people get banned for not towing the "party" line and having an opinion contrary to that held by a moderator. There are hundreds if not thousands of them. They can't post but George still includes them in his statistics of number of members. Clever guy is George. Who can't post? Just sign up a new nic, I'm on my 14th or 15th and I'm sure plenty of others are, too. Trick is to sign up a new nic every so often, post a bit of innocuous stuff asking visa questions and such, then it's ready when you get banned. That member roll is probably about 80 % inflated. Vincenzo, post a few comments about men who use Thai women as as personal body servants, or accuse them of preferring Asian women as they can tend to be built like children – that one hits the spot- or just about anything else that is feminist inspired and you'll get banned in short order. Gotta love how the Thai Visa cafe has set up business on the sidewalk, forcing pedestrians onto the street. It's probably the moderator Miss Whiplash, Weapon. She's cruising the hi-so scene in Chiangmai now and trying to avoid her links with Thaivisa. Someone will make the link soon. I understand there is a TV moderator vacancy in CM since IT manager was caught out being naughty – Though rumour has it he's re-surfaced using a dead man's passport ?! I was one of those persons who were cheated by the notorious A McDonald and his proxy Thai boss. luckily I was able to prosecute them through the courts and had my monies returned. However others have been defrauded by them and still waiting for justice.